The dev.to website is a community for developers where each one can write about anything related to programming and tech. Since everybody has a profile link for their accounts.. I want to access that link and parse everything that I want, pretty straight forward. Example link would be my profile, which is dev.to/grohsfabian. The first thing that you gotta do before you start building a scraper is to investigate. By investigate I mean look around the website, see how it works and also check the source. Checking the source and looking around will determine the difficulty and let you know how that website functions and what you need to do in order to scrape it. After 2-5 minutes of looking around I discovered that the classes are not dynamic, the format of the html is not weird, the website doesn’t render after the initial load and on top of that, the structure and the classes of the html are on point. This results in a very easy scraping and without much effort. From my perspective, this page that I wanted to scrape was way more than easy. 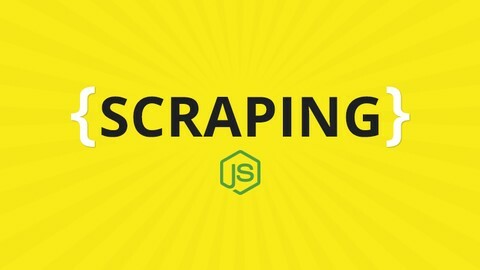 Let’s look into how I created the scraper for dev.to with NodeJs and just 2 other libraries that I also discussed in other of my articles ( 4 Easy Steps to Get Started with NodeJs Scraping ). Since I was scraping the dev.to website with NodeJs, I figured I can write an article on their side about this also so that people get to see how I did it. And since so many of you seem to like these scraping videos from my youtube channel ( Fabian Grohs ) I figured I would show you my thinking on how I went about doing this. Either if you are here just to investigate the code or you genuinely read the article / watched the video, I’m glad that you did. Please take a note that you should NOT use this code for malicious intent or spam. Also if you want to learn more and go much more in-depth with the downloading of files, I have a great course with more hours of secret content on web scraping with nodejs.